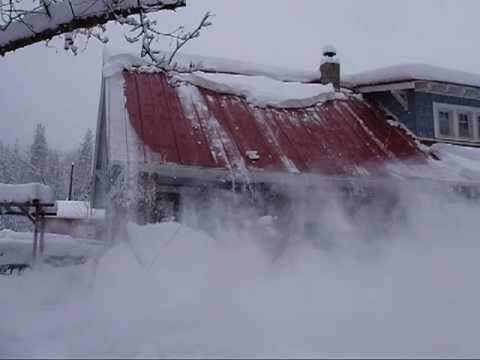 A 4-year-old girl trapped for eight minutes under snow that slid off the roof of her North Pole home died at an Anchorage hospital. “A large amount of snow broke free of the metal roof on the residence” as the girl stepped outside. Other residents found her hand about 8 minutes after the avalanche. She was buried under about 5 feet of snow, and was pulseless and not breathing. She was taken to the hospital and stabilized, but died two days later. Posted in Avalanche Updates & Accidents.